The start-up's executives are reportedly undeterred by the fact that the umbrellas keep going missing and promise to release another 30 million umbrellas by the end of the year. An umbrella-sharing start-up announced it lost nearly all its 300,000 umbrellas within three months - because people kept refusing to return the borrowed umbrellas. The Chinese start-up's concept is similar to existing bicycle-sharing schemes which allow people to pay a small deposit to rent a bicycle, use it, and return it to designated cycle racks. 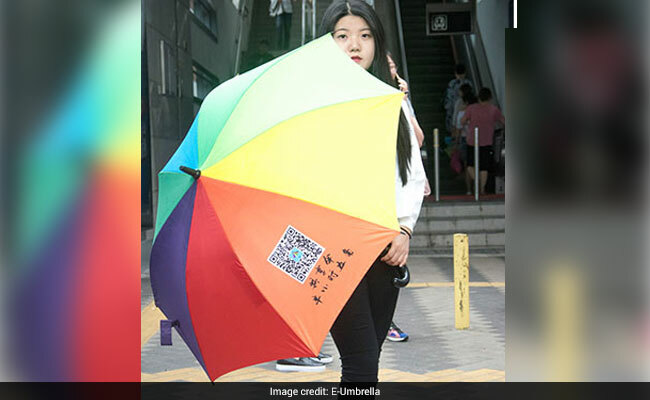 However, only three months into starting up operations in 11 cities across China, Sharing E Umbrella announced that it lost almost all of its umbrellas, reports South China Morning Post. The concept is fairly straightforward: anyone who wants an umbrella pays a small deposit and gets an "unlock" code via the app. The umbrella can then be deposited to designated racks around the city, ready for someone else to pick up. The umbrellas - mostly hung on racks located at subway and bus stations - can be borrowed for a deposit of 19 yuan, or 180 rupees, and a fee of 0.50 yuan, or roughly 5 rupees, for every 30 minutes. "Everything on the street can now be shared," South China Morning Post quotes the company's founder Zhao Shuping as saying. Well, perhaps not everything, as almost all of the company's 300,000 umbrellas went missing. The problem, Mr Shuping admitted, was figuring out how to get people to return the umbrellas once they were done using them. Turns out, the platform doesn't charge users a fee for failing to return a borrowed umbrella. So, most people simply ended up holding on to them. Each lost umbrella reportedly costs the company 60 yuan, approximately 550 rupees, to replace. Shanghaiist reports that the start-up's executives are undeterred by the missing umbrellas and promise to release another 30 million umbrellas by the end of the year. "It's like Uber, but for umbrellas." Meanwhile, South China Morning Post reports a bicycle-sharing company in China shut down last month after nearly 90 per cent of its bikes were stolen.